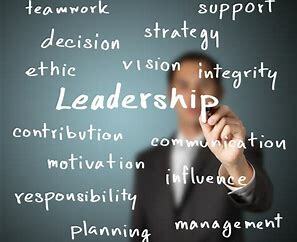 Ask people to name a great leader and it’s the rare person who names a business CEO. Most people default to leaders in politics or government where the public good is assumed to be at the center of their work. When it comes to elected officials, we project our own values and aspirations onto them. There’s not normally that same kind of personal connection with CEOs outside of their own companies. After all, if our FedEx packages arrive on time day after day, it doesn’t produce deeper feelings for Fred Smith, because in that relationship, we see ourselves as consumers, not constituents. In addition, public sector leaders are more visibly engaged than top CEOs in tackling Memphis’s challenges and championing causes and agendas. It’s been said that the lack of sustained and visible leadership on issues, campaigns, and public policies has been a weak link for Memphis when compared to other cities like Nashville. There, for decades, business leaders have elbowed their way into important public debates and offered up nontraditional candidates from the business community to sustain an economic vision based on quality rather than cheapness and quality of life investments that strive to be the best. It’s true that CEO leadership here has not been as showy as in Nashville, but that is not to say that it has been nonexistent. For example, there was the mythic Memphis Jobs Conference in the early 1980s led by First Tennessee Bank president/CEO Ron Terry and the “superfund” money assembled by Terry, FedEx founder/CEO Fred Smith, and AutoZone founder/CEO J.R. Hyde III to jump start the city’s sluggish economy; in 1982, Holiday Inn CEO Mike Rose, Smith, and Hyde publicly backed attorney Mike Cody in an unsuccessful election for interim city mayor; in 2000, Larry Jensen, president of Commercial Advisors Partners, and Russell Gwatney, owners of a car dealership, drove the first regional plan for the Mid-South; in 2001, the recruitment of the Memphis Grizzlies was spearheaded by Hyde and Storage USA CEO Dean Jernigan, who in the same year were the driving forces in establishing Memphis Tomorrow; and in 2002, Terry and Hyde led the campaign to create the Shelby Farms Park Conservancy’s reinvention of 3,200 acres in the heart of Memphis. Since then, it can be argued that CEOs have largely used organizations like Memphis Tomorrow and the Greater Memphis Chamber as vehicles for their involvement rather than the high-profile personal and visible involvement seen in the past. The Chamber, which has fluctuated for more than 35 years between bouts of open activism and times of passive partnership, is today in a cycle of activism propelled by a new generation of leadership unbowed by the sometimes perplexing realities of driving change in Memphis. It’s been a learning experience, resulting in some gaffes as the younger leaders learn that leadership in the business community is not easily transplanted into the public sector, where everyday life can be punctuated by racial politics, personal attacks magnified by social media, incremental victories hailed as progress, and where relationships regularly trump white papers in influencing key votes. The Chairman’s Circle, a CEO group at the Chamber, sets a high bar for itself: to “create more economic prosperity and improve the quality of life in the Greater Memphis region.” Its results have been hit and miss to this point, but the willingness of the Chamber to advocate for an agenda aimed at supercharging an economy that has languished for a dozen years is a step in the right direction. Similar high ideal, high impact programs launched in the past regularly flagged because of the failure to sustain a clear agenda for the longer periods of time needed to see progress on tough structural issues like poverty, blight, income inequality, and early childhood development. Meanwhile, Memphis Tomorrow, an exclusive group of CEOs from the county’s largest employers, says that its work is “to promote opportunity and quality of life for all Memphians through public-private partnerships.” CEO-led organizations like it were popular 25 years ago but few remain. For example, Cleveland Tomorrow, the model for its Memphis counterpart, merged in 2004 with two other organizations and set its focus on improving the economy and racial harmony through what it called a more transparent and inclusive approach. For the uninitiated, shaping government policy can be a grinding, indecorous process, but particularly for CEOs more accustomed to the linear and decisive decision-making built into most corporate org charts. Those young Turks in the late 1970s and early 1980s who challenged the status quo and stepped forward when Memphis was adrift are now in their seventies and eighties, and it’s uncertain today that the same level of CEO leadership will emerge to take their place. One thing is certain: The structural challenges facing Memphis demand everyone’s best efforts, and that certainly includes CEOs. With the pressures of leading national and international companies in today’s complex economic environment placing unprecedented demands on them, will CEOs have the time, the inclination, and the flexibility in the future to weigh in on public issues the same way that an earlier generation did? It’s a question whose answer is crucial to Memphis’s future. Join us at the Smart City Memphis Facebook page for daily articles, reports, and commentaries that are relevant to Memphis. Best Wifi Security Systems: What are your options?